A Boozy Green Shamrock Shake is the boozy cousin to the famous shake that only gets busted out around St. Patrick’s Day. Bonus: no one will pinch you while you’re nursing one of these shakes. Hi guys, my name is Meghan and I have no self-control. Yep that’s been about the past two weeks of my life. I’ve been overindulging and skipping the gym as I spiraled into a world of stress. Now that I am on the other side, I get to enjoy the lovely repercussions of those decisions – aka the sad sad time that I am now clocking on my mile and the disappearing act some of the toning I managed to get has pulled. Of course, do I actually regret those two weeks of amazing food, wine and beer? Well, of course not. I just wish I had gotten to the gym more to balance it out. 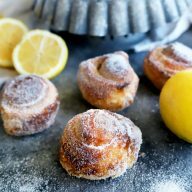 Regret eating and drinking? Psh. NEVER. 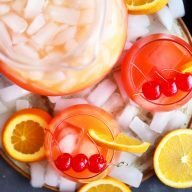 So while I’m on THAT train of thought, let me introduce the drink I’ll be indulging in as St. Patrick’s Day inches closer (and I still have NO plans, ARGH). It’s green, it’s mean, and it’s anything but lean (haha, see what I did there?!). 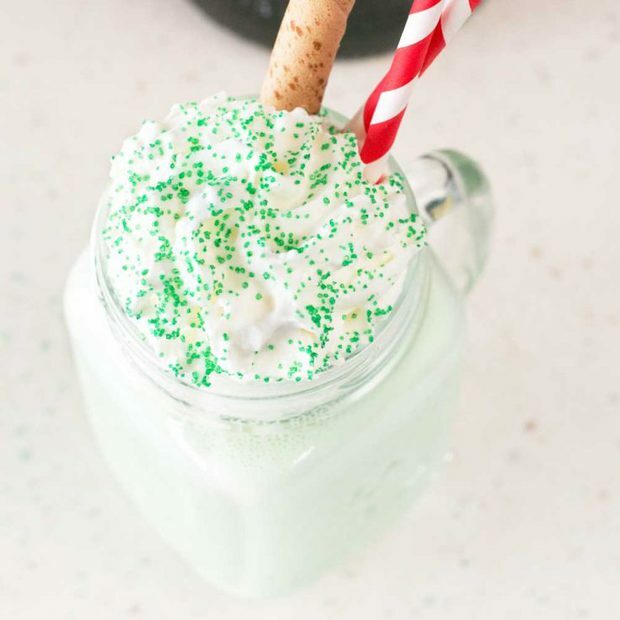 This boozy green shamrock shake is everything you know and love about the classic McDonald’s treat, with an Irish whiskey twist that makes it grownup friendly. Step aside children, St. Patrick’s Day is an adult holiday – not suitable for the young & impressionable. 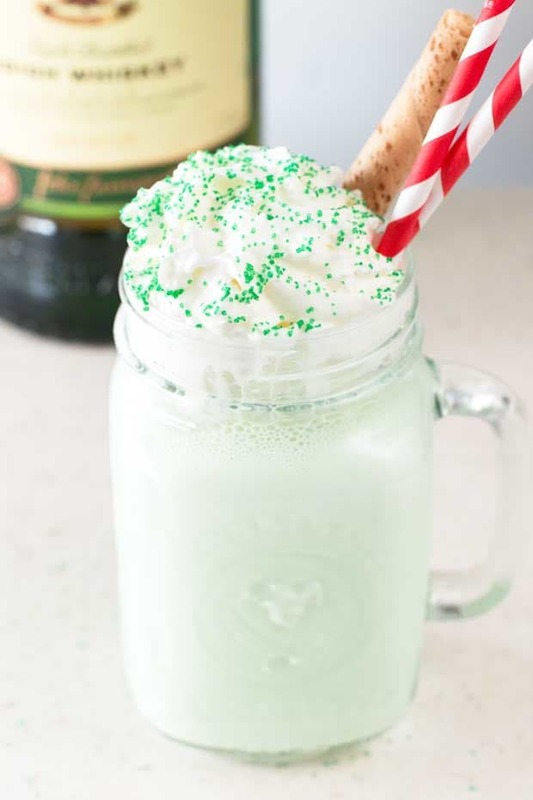 If you realllllly wanted to spoil an under 21-year-old on St. Patty’s, I suppose you could omit the booze and use a little mint extract and green food coloring to get the same drink… But you’d really have to love that child to go through all that work. Can you tell I don’t have any kids? 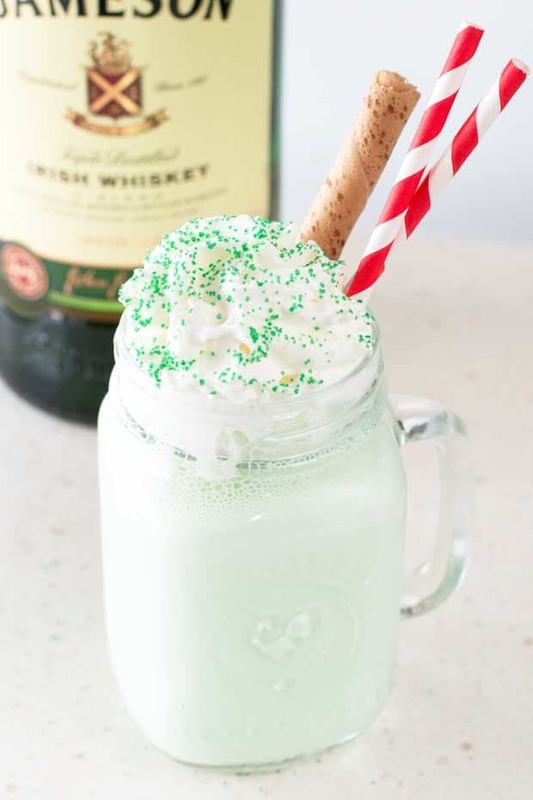 All the green shamrock shake you love, with a heaping portion of booze. Happy St. Patrick's Day! 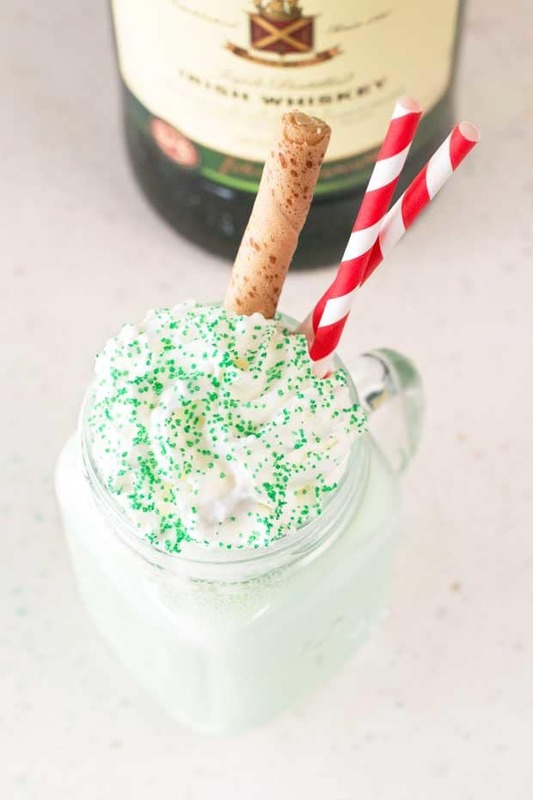 Blend together whiskey, creme de menthe, vanilla ice cream, and milk until smooth. 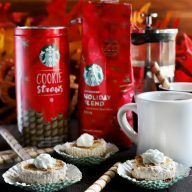 Pour into a large glass, top with whipped cream and serve. 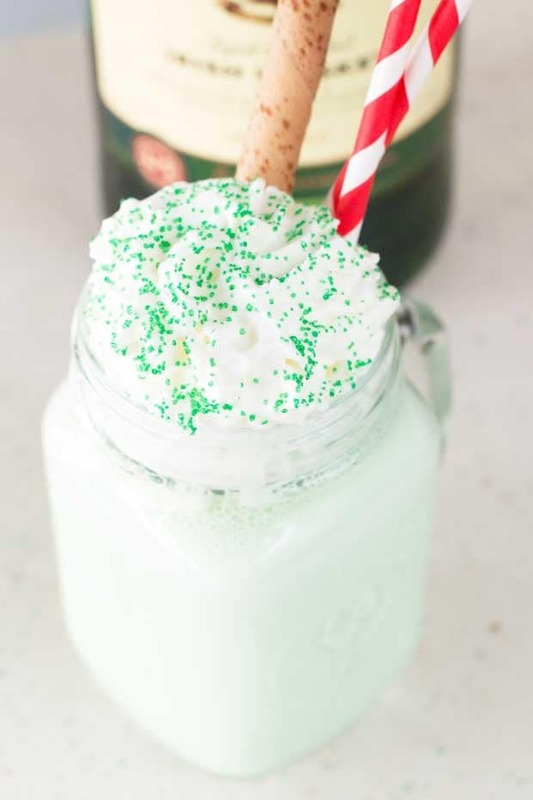 Pin this Boozy Green Shamrock Shake recipe for later!